This park is designed for children with and without disabilities. Because of its unusual nature it attracts visitors from a considerable distance and the on-site parking cannot handle the demand. 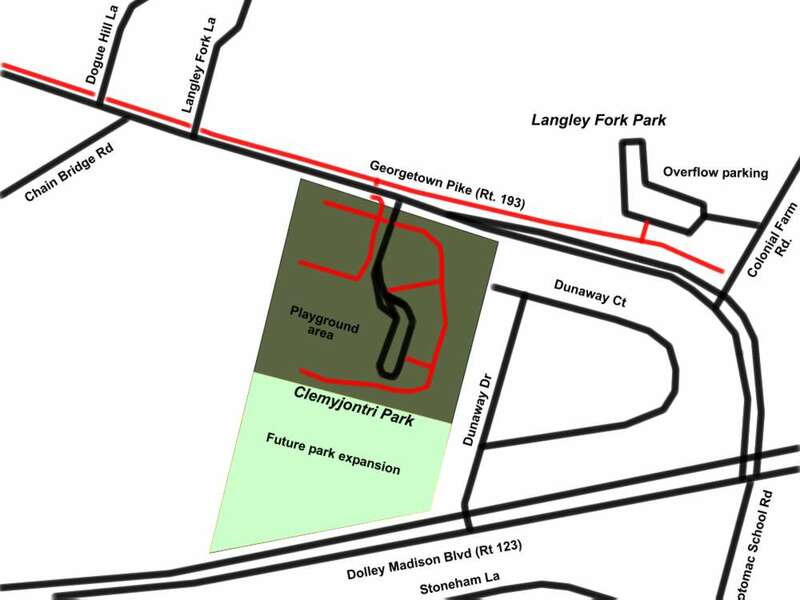 Some overflow parking is available at Langley Fork Park. 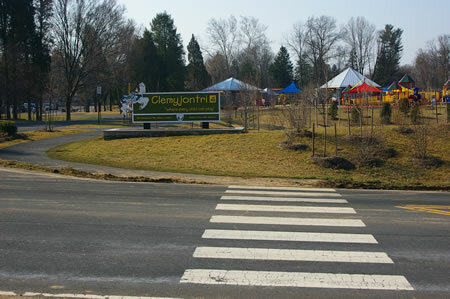 If spaces are not available at Clemyjontri Park turn right onto Georgetown Pike and turn left at the first intersection (Colonial Farm Road) to access the Langley Fork parking lot. 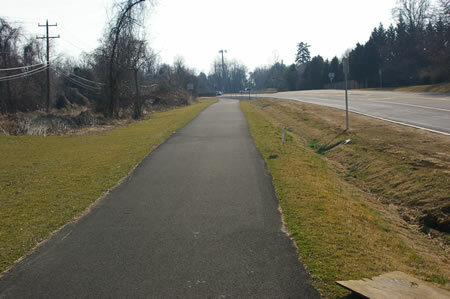 There is an asphalt trail connecting the parks. There is no other parking available on any nearby streets and the entrance on Georgetown Pike is the only access to the park. The minimum distance between the playground and the overflow parking is about 1/4 mile. The playground equipment appears to be designed primarily for younger children. The playground surface is designed to minimize injuries due to falls. More information on the hours of operation and specific types of playground equipment can be found on the Fairfax County Park Authority Website (see link on the next page). Pictures of some of the activities are provided on the next page and may help you to determine whether your children are a suitable age to enjoy the park. Trail along Georgetown Pike to overflow parking. Panoramic view of the playground. Click here for park map in pdf format for printing. Click here for directions to park in pdf format.